Last year saw the revival of many retro prints. 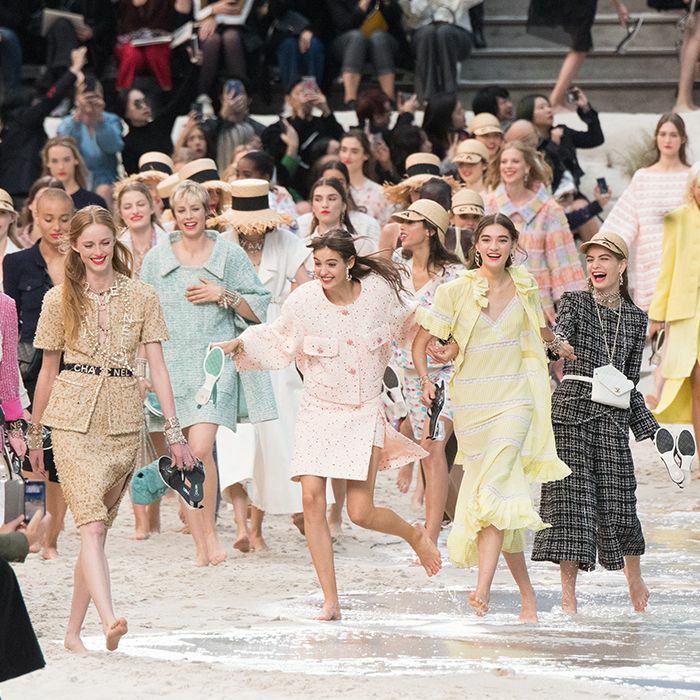 First up, it was gingham, and then polka dots invaded all of our wardrobes and they are still going strong for spring/summer 19. 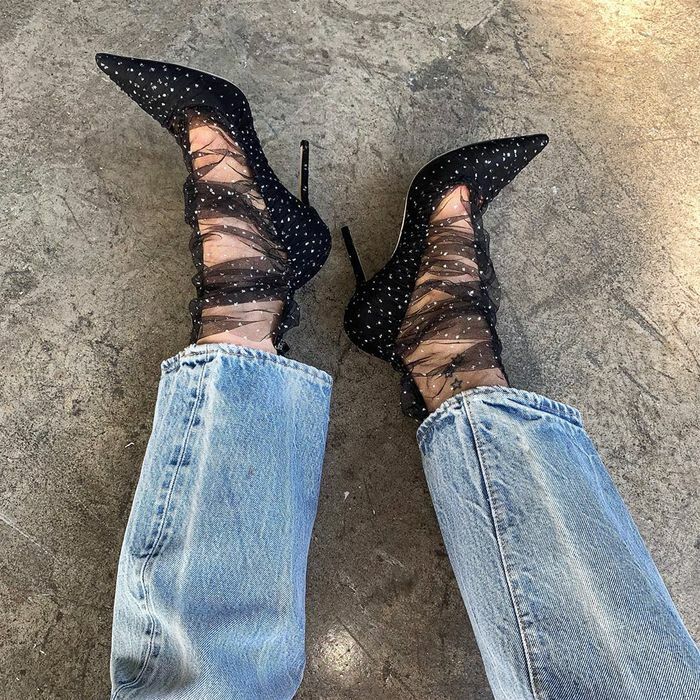 The once old-fashioned spotty print has been given a makeover, thanks to Instagram brands like Ganni, Rejina Pyo and Zimmermann. A polka dot midi dress requires little-to-no styling, which is why it is summer after summer such a hero purchase. 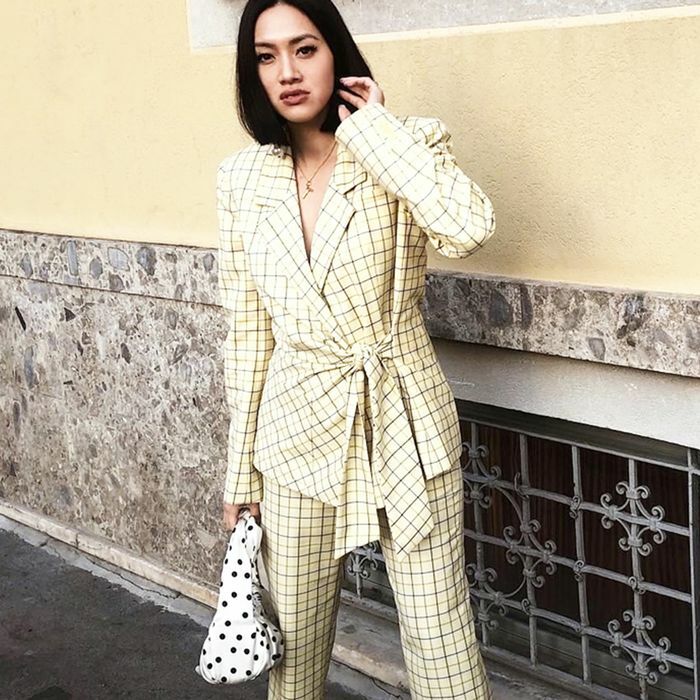 However, there are many more adventurous ways you can incorporate the print into your wardrobe in 2019. his year, many designers are splicing two or more spotty prints together, as both Rixo and Rejina Pyo have created prints using more than one polka. It might only be March, but already several polka dot pieces from the spring collections have become cult buys. Starting with Rejina Pyo's spotty satin bag, which the street style crowd has been wearing with other loud prints. Scroll through our gallery of the best new ways to style polka dots, and shop our edit of the key pieces to get the look. 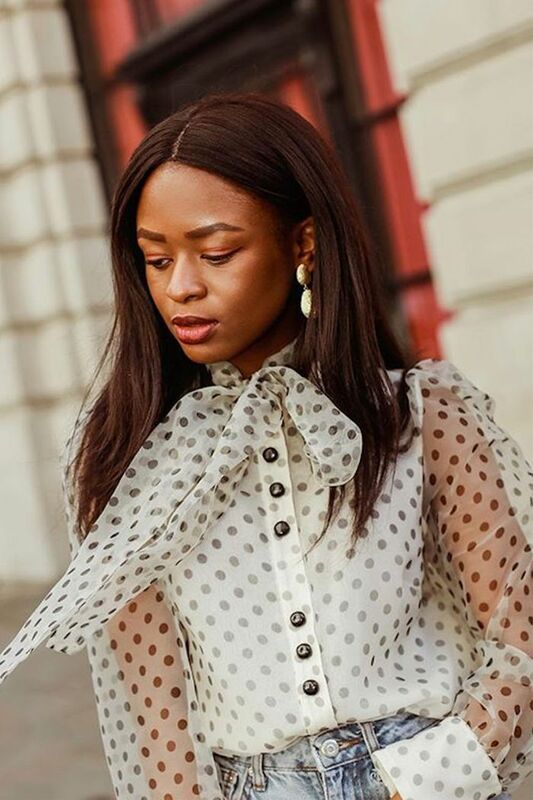 Style Notes: A dreamy polka-dot blouse is one of those pieces you can throw on, whilst also looking like you've made a huge effort. Sold. Style Notes: Transitional dressing at its finest. We can't get enough of this all-white look. Switch the boots and roll-neck for a cami and sandals once it's warmer. Style Notes: Proving that a print clash makes everything look way more expensive, Chloé opts for new season Rixo. Swoon. Style Notes: A midi dress layered with a belted blazer is basically our everyday uniform for the foreseeable. We're taking all the inspo from Jessie's mono number. Style Notes: Rejina Pyo bags have already reached cult status. Naturally, this is the next one on every street styler's arm (or hand, like @handinfire). Style Notes: Give polka-dot prints an instant spring/summer spin by updating your swimwear edit. This tie-shoulder bikini top Lindsay is wearing is effortless. Style Notes: Slip dresses always get our nod of approval, as do polka dots. Add the two together and you get a winning combination. Note: cool-girl Lucy also approves. Style Notes: Summer is just around the corner, so it's time to think dresses. We'll start with pretty polkas—just like Alice Zielasko. Style Notes: Spice up a simple outfit with a polka-dot accessory or shoes such as Camille Charrière's pointed spotty slingbacks. So, so chic. Style Notes: Don't be afraid of clashing prints à la Emili Sindlev, who wore her black-and-white spotty top with florals and zebra print. Yes, yes and yes! Style Notes: Lotte is an ASOS insider who has inspired us to go for a high-neck vintage-look dress and pair it with a hair clip. Style Notes: Jeanette's polka-dot pyjama-style Ganni pants are the perfect way to do this trend in a more dressed-down fashion. These have sold out, but luckily for you, we've found an iteration with Stine Goya's flared pair. Style Notes: We love how Emili Sindlev doubled up on polka dots, wearing her sleeveless Ganni maxi over a puff-sleeved top with a larger polka-dot print. Style Notes: Net-a-Porter's Lisa Aiken wears her Ganni spotty maxi dress with a grey mohair sweater looped over her shoulders. The navy print means this dress will work for all seasons. Style Notes: Pastel and brown hues plus polka dots equals spring perfection. We're very much into this Mulberry blouse Trine is wearing with chunky gold hoops. Style Notes: With white shoes back on the style menu, polka dots make for a great way to break up a head-to-toe look. See Camille Charrière for the proof. Next up, 45 under £100 buys are fashion team really want right now.